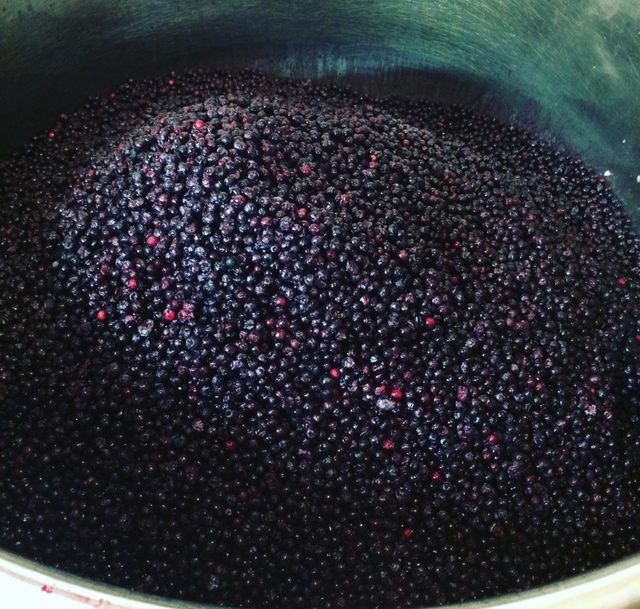 Today we are doing something a little different in that we are not presenting a recipe but rather a wild blueberry product that can be added to many dishes; with the caveat that you had better like the heat. 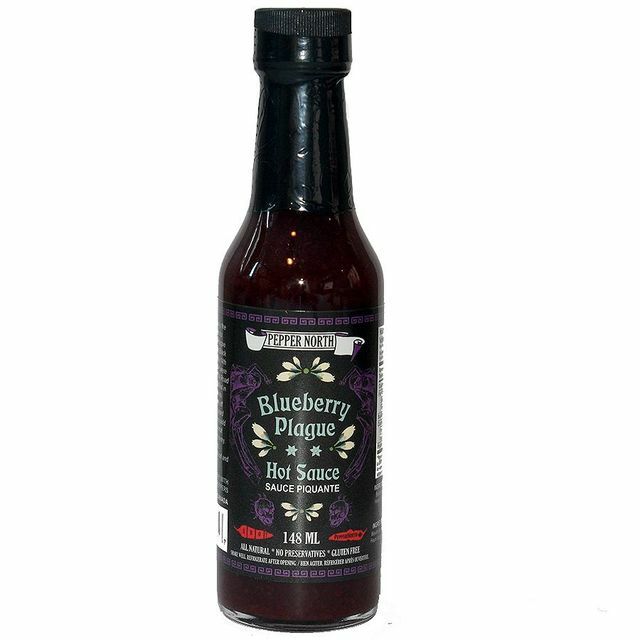 Pepper North, an Oshawa, Ontario company that deals with hot peppers has produced this special sauce which gives the fruity taste of wild blueberries amid the hotness of the peppers. They use only wild blueberries in their blueberry sauce (45 kg of wild blueberries per batch). And we are pleased to spotlight any company which uses that many wild blueberries. 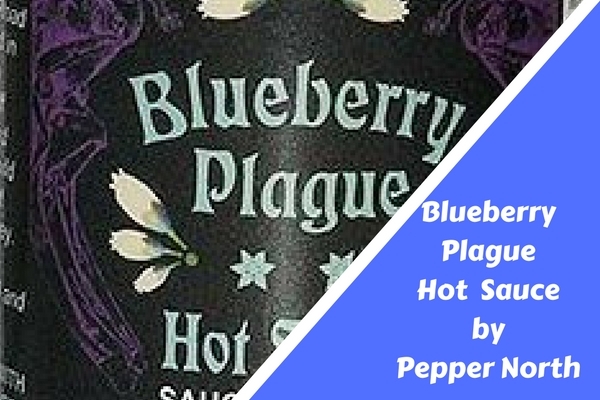 This multi-award winning sauce features wild blueberries, pure coconut water and wildflower honey and the Moruga Scorpion Peppers. Try it on chicken wings, scrambled eggs, seafood and even ice cream. Pepper North was born out of a love for growing super-hot peppers and handcrafting delicious gourmet hot pepper products. They believe in using the freshest locally sourced ingredients possible in order to create a flavour experience that will be enjoyable for all. Pepper North is a family run business established in 2013 located in Oshawa, Canada. They began their journey into the hot sauce world much like many others, by growing hot peppers in their home garden and turning them into delicious spicy products for friends and family. As demand began to grow, so did their batch sizes. Adding eye catching labels, they started attending local farmers markets and festivals to rave reviews from their customers and fellow hot sauce lovers. 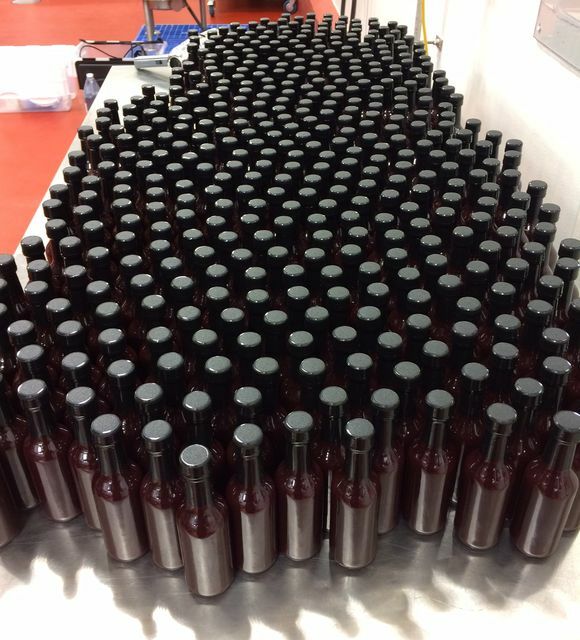 Before long, they were making a name for ourselves across Canada with their line of delicious super-hot sauces. Their award winning hot sauces and condiments are all natural, free from added preservatives, gluten free, and can be found in over 150 stores across Ontario and beyond.